Each morning at Ape Action Africa’s Mefou Primate Sanctuary, caregivers check-in on the animals to see how they’re doing. And there are a lot of animals to check. The sanctuary cares for over 300 rescued animals. 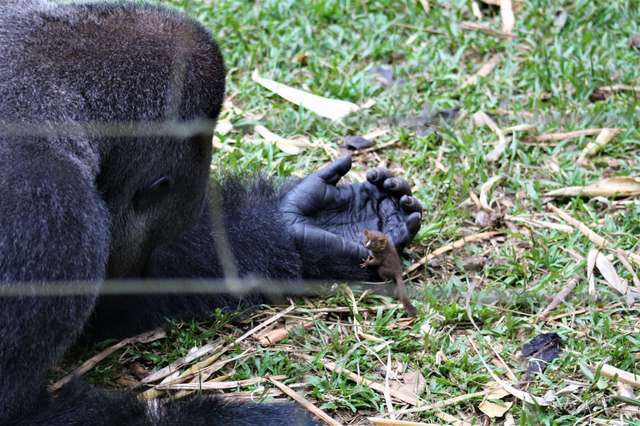 In August, the caregivers had gone to check up on the gorillas. 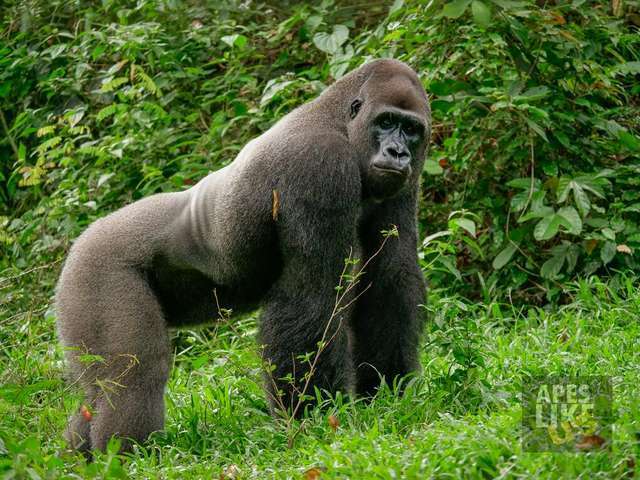 A silverback gorilla named Bobo had found something out of the ordinary. Bobo, western lowland gorilla had arrived at the sanctuary in 1994. Sadly, his mother was killed by poachers and he was left vulnerable in the wild. Bobo had only been 2-years old. Now, over two decades later, he is a pack leader at the sanctuary in Cameroon. Though he is an alpha-male, Bobo shows he can be a gentle giant of his forest domain. The morning carers went to look in on the gorillas, they couldn’t believe their eyes. Bobo had made a new friend in a tiny creature he found in the forest. They watched on as Bobo bonds with a bush baby that he found. He cradles the creature in his hand, clearly showing he wants to keep this adorable little creature safe. 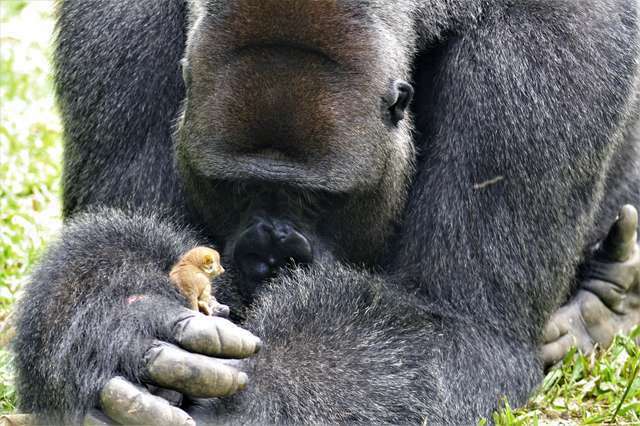 Soon, the other gorilla’s became more curious, wanting to meet Bobo’s new friend. “Bobo’s group-mates were desperately curious, particularly his favourite female Avishag. But he kept them all at a distance, making sure that no one disturbed his new friend.” O’Sullivan stated. Bobo and the bush baby played and bonded together for almost 2 hours. When they were done playing, Bobo – moving on two legs like a human – put his tiny friend back in the forest. The amazing, gentle giant that is Bobo proves that there really is kindness in the world. Watch how he interacts with this adorable little creature below!